Staphylococcus aureus is an opportunistic pathogen that may cause severe infections in livestock, and represents the major cause of mastitis in dairy cows. Currently, instead of using antibiotics, new strategies are sought to reduce this clinical health problem. The aim of this study was to determine the efficacy of phage therapy to kill S. aureus strains obtained from farms located at the State of Guanajuato, México. Thirty-six S. aureus strains from cow milk with subclinical mastitis were isolated and identified, and the susceptibility to antibiotics and four phages also isolated in this work was tested. It was found that more of 90% of S. aureus isolates were not susceptible to six or more antibiotics, and 100% were resistant to penicillin, dicloxacillin, cefotaxime, ampicillin and cephalothin, and 81 and 77%, to tetracycline and cefuroxime, respectively. Fortunately, 100% of S. aureus isolates were susceptible to phages used in this work, which was detected as clear zones using specific phage. It was shown for the first time, that phages used in this study are active against pathogenic S. aureus and might be incorporated into the therapy as an important tool for the control of staphylococcal bovine mastitis, specially to antibiotic-resistant S. aureus strains isolated in farm located at the state of Guanajuato, México; and its use might be extended to other regions inside or outside the country. The authors thank students and colleagues of University of Guanajuato and Promoción de la Cultura y la Educación Superior del Bajío, A.C for their technical support during this study. They appreciate the contribution of the producers to this study as well. This research was supported by Grants from CONACyT 2017 (PEI-241362) and Consultoría en Biotecnología, Bioingeniería y Servicios Asociados, S.A de C.V. (COBBYSA). 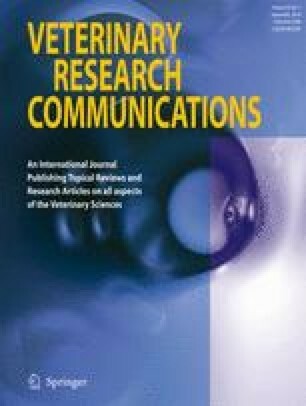 Animal studies were carried out humanely and according to national and international Animal Care and Use Committee protocols. All the authors declare no conflict of interest regarding this manuscript.